There is a price we must pay. It’s called grief. When we are born, we quickly begin attaching our hearts to people, places, things, ways of life and much more. This is part of the human experience. Love is very satisfying - until it is lost. If you are currently experiencing the full effects of grief, you may be wondering if this thing called love is really worth the price you are paying. I refer to grief as “love’s shadow.” Our love grows like a giant balloon in a darkened room. The brightened side of love is called relationship. The dark side of love is called absence. When someone we love dies, we move from the comforting light of relationship, to the very painful darkness of their absence. The darkness is our grief. How much grief do we experience? It depends upon the amount of love we have for those we have lost. The greater the love, the greater the grief. It’s proportional. When we lose something we have loved more than we can express in words, we subsequently encounter a level of grief which is seemingly unexplainable in earthly terms. When I facilitate a grief support group, I pose a question in our opening session. If I were able to completely take away all the grief they are currently experiencing, would they want me to do so? Inevitably hands are raised and many heads nod yes. Most of my participants have come to the group to find ways to escape the mental, physical and spiritual effects of their grief. I explain what would need to occur for them to escape grief. It would require the erasure of memories, experiences and thoughts of the person they have lost. Their grief would vanish along with the memory of their loved one. In doing so, participants would have accomplished exactly what they had set out to do – escape the wilderness of grief. My proposition raises an interesting question. Is the pain we are experiencing really worth forsaking the love and memories which we have enjoyed? Very few people are willing to trade in their precious memories and experiences to escape the darkness. Participants need to understand the very thing which is causing their grief experience becomes a treasure they won’t want to lose. I also refer to grief as the “love tax.” Grief is the tax owed for the quantity of love we have enjoyed. A love tax is a proportional debt. No one likes taxes, and no one likes grief, but they are both a reality we must face. Some folks try to beat the system after their first big grief bill. They believe if they never love again, then they will never grieve again. A sad life without relationships. 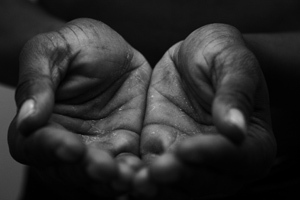 Payment of our grief tax is tendered with the physical, emotional and spiritual toils which make grief one of the most powerful and dreaded human experiences. It’s a steep price. It’s also a debt which can last an entire lifetime as unsatisfied debt if we choose to ignore our grief. Unpaid grief taxes accumulate interest and only get worse over time. Another aspect of grief is the degree of darkness. The amount of love determines the size and shape of the grief we must endure, but not necessarily how dark our grief journey may be. Love determines the size of grief, but circumstance determines the degree of darkness. Circumstance consists of many different factors. This explains the uniqueness of each loss experience. My father died when I was in my late 40’s. Over the years, many of my friends also lost their fathers. Although they appeared to be like-kind losses, that wasn’t the case. My father had deserted our family when I was in my teens. I never saw or heard of him again for 32-years until I received word of his death. The love for my father was diminished because of a lack of relationship, so my grief was smaller, yet darker because of the circumstances of a lost relationship that would never be realized. One of the people I loved most in this world was my grandfather. When he died, I grieved. A few years later a very good friend and co-worker committed suicide. My love for my friend was nothing compared to the love for my grandfather, yet his death devastated me. The circumstantial cloud cast by the suicide of my friend had darkened my life even more than the loss of my grandfather. For many years, I used the terms grief and mourning synonymously. I now understand that grief is a place, and mourning is the process of moving through the place called grief. Grief isn’t optional – but, mourning is optional. Those who refuse to mourn never fully escape the darkness of love’s shadow. They remain in various shades of the darkness. With each subsequent loss, their darkness will grow. Mourning is a form of payment for the love tax. It is hard and frustrating work, but it must be done. When we don’t mourn the loss of the things we have loved and lost, it becomes an unreconciled loss. It is essentially unpaid debt. The way we are penalized for not mourning is by the effect it has on our future relationships. It impedes our ability to truly enjoy many other things we should love and enjoy. Mourning is sometimes a very public, external expression of our internal conflicts. It can also be a deep internal struggle. It is the resolution of the various circumstances which adds to the degree of our darkness. It requires us to honestly reconcile our losses by confronting each obstacle on our path through grief. It often requires a house cleaning of the human heart and often, allowing others to help us. I have lost many people and things which I have loved dearly in my lifetime. Some of them still hurt. A few of them I am still mourning. When I reflect upon them now, I recognize how truly blessed I was to have enjoyed them for a season of my life. The grief I endured, and the love tax which I was assessed, was truly worth it all. I wouldn’t trade a single memory to escape my darkest days. As I work with those in my support groups and coach people through their seasons of loss, I try to share what I have learned about love’s shadow. There is no shortcut or easy out. As long as the love lasts, my grief will be there too. If we learn how to mourn and allow others to help, the darkness will subside and our relationship of presence blossoms into a beautiful relationship of memory. The loss of my close friend who took his own life set me on a journey which I never intended to take. Along the way I have learned many things. I have now mourned many unresolved losses of all kinds. I have paid my taxes. Life is better now. It took me a long time to truly understand the philosophy that love isn’t free, but it is certainly worth the price! Randal Doaty had a lifelong career in emergency services as a fire fighter, EMT, police officer and also as a private investigator. His life was immersed in the tragic losses of others. Randy was much too busy to deal with his own losses. The tragic death of a very close friend to suicide triggered an investigation into his dreaded adversary - grief. He is now a writer, author, poet and speaker on the topic of grief and mourning. 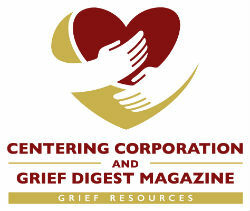 He serves as a personal grief coach and facilitates grief support groups. He is the founder and President of Glass Tears, Inc. which provides a unique outreach for those struggling through a season of loss and also a fundraising solution for other grief support organizations.